When you need a bunch of fancy action figures to be out as soon as possible to coincide with the launch of a new movie, it’s good to be bad—especially if you’re the faceless entities of an evil empire. Which means if you want some Rogue One Hot Toys, then what you’re getting for the foreseeable future is all things Imperial. Now that it’s September 30 in Hong Kong, the company has revealed a few more more “new” Rogue One figures to celebrate the arrival of the movie’s merch on toy shelves. I say “new” because really, the only new figure joining the Death Trooper is the Shore Trooper—Darth Vader and the “Jedha Patrol” Stormtrooper are just minor tweaks to existing toys. But still, they look nice. 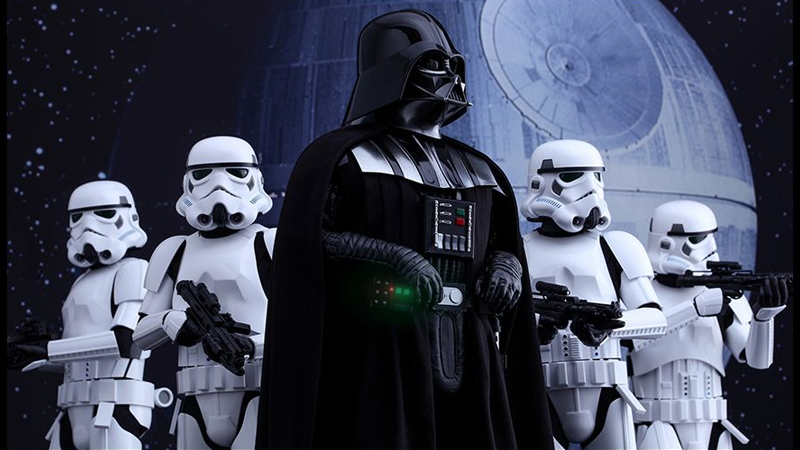 Vader is a bit different to the A New Hope-specific toy Hot Toys released a while ago, with updated armor details that make him look a little more like the Revenge of the Sith-era Vader than the one of the original trilogy. The new Stormtrooper is essentially the old one, dirtied up and given a backpack. The new Shore Trooper though, is actually new. The mix of armor and cloth material looks great, and it’s nice to see some Imperial troopers who aren’t just clad in various shades of white or black. Unlike most Hot Toys, the figure doesn’t come with much—just a stand, some alternate hands, and the trooper’s new double-barreled gun—but it’s a swanky addition to the sixth-scale Imperial army, indeed. None of the new figures are quite up for pre-order in the West just yet, but Vader, the Jedha Patrol Stormtrooper, and the Shoretrooper are all due for release early next year.